As a rookie, Mike Conley fought for playing time in Memphis against the gritty Kyle Lowry at lead guard. Conley was not actually given the keys to the offense until the midpoint of his sophomore season, when the Grizzlies dealt Lowry to the Houston Rockets. With time, Conley has matured into one of the better floor generals in the league. He is a coveted unrestricted free agent. Last week, Phil Jackson rolled the dice, and shipped Robin Lopez, Jose Calderon, and Jerian Grant off to Chicago in exchange for Derrick Rose. This move came on the heels of a three-team deal between the Hawks, Pacers, and Jazz that placed George Hill in Utah and Jeff Teague in Indiana. Needless to say, the game of musical chairs will undoubtedly have a ripple effect on Conley and the point guard market. Here are four landing spots for Conley. The rumor mill has feverishly linked Conley with every corner of the Texas Triangle. After years of developing talent through the draft, the Spurs rebuilt on the fly. They were big players in the free agent market last season, signing LaMarcus Aldridge and David West. The wheeling and dealing paid immediate dividends, with the 2016 Spurs ripping off 67 regular-season wins. San Antonio, however, went down 4-2 in the Western Conference Semifinals to a much more youthful, spry, and energetic Oklahoma City bunch. This franchise is now tasked with passing the baton from Tim Duncan, Manu Ginobili, and Tony Parker over to a new Big Three that would feature Kawhi Leonard and Aldridge as cornerstones. Parker is 34 years old and — though still effective — has clearly lost a step. With Conley in the mix, the Spurs would have flexibility in the backcourt for one year, while grooming the younger guard to eventually take full command of the offense and extend the Dynasty. The more things change, the more things stay the same. Conley, a career starter, may balk at the idea of splitting time at lead guard with Parker in San Antonio. At the same time, recent job postings for a point guard in Utah, Indiana, and New York have swiftly closed. 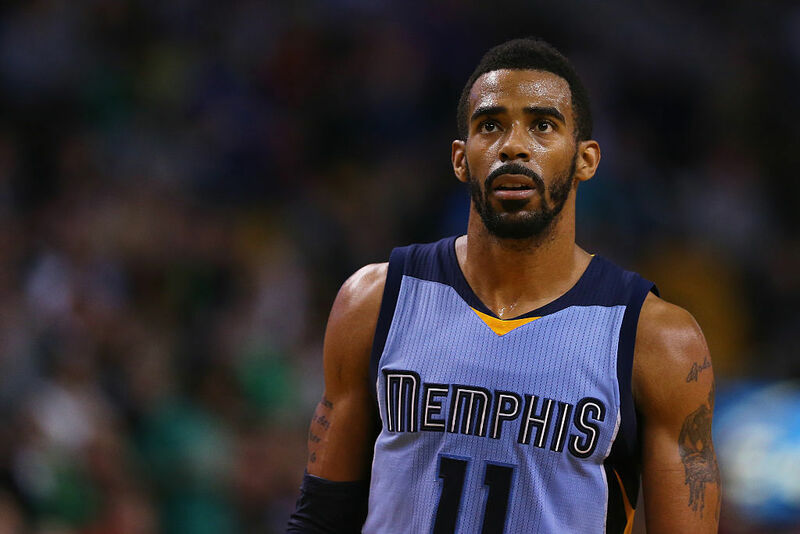 In Memphis, Conley can certainly expect an expanded role. He will be given the green light to attack at will next season. For 2015–16, the Grizzlies were a MASH unit, with Conley, Zach Robinson, and Marc Gasol all missing significant time due to injury. Still, the Grizz managed to go 42-40 and sneak into the playoffs, with the likes of Lance Stephenson and a fossilized Vince Carter stepping up to fill the void. With Conley back in the fold, Memphis would emerge as one of the sexier sleeper pics in the league. For Conley and Memphis, it’s easy to get lost in the mix out West, with Stephen Curry, Chris Paul, Damian Lillard, and Russell Westbrook lighting up scoreboards. The 2014–15 Milwaukee Bucks snuck into the playoffs with the eighth seed in the East, before going to war against the Chicago Bulls through six hard-fought opening-round playoff games. That offseason, the Bucks went out and signed Greg Monroe to a max deal, while second overall pick Jabari Parker rehabbed his ACL and prepared for full contact drills. At that point, the Bucks were a team on the rise. For 2015–16, however, the wheels fell off in Milwaukee. The Bucks regressed into an undisciplined group of mismatched talent. To counter their athleticism, opponents simply packed the paint and dared anybody but Khris Middleton to shoot. The Bucks put up an anemic 99 points per game and went 33-49, or 11 games out of the playoffs. Last year, it became glaringly obviously that Milwaukee was in desperate need of a real floor general, with Michael Carter-Williams being more suited for a third guard, change-of-pace role off the bench. Conley would make teams pay for sagging off from deep. From there, driving lanes would easily open up for the likes of Parker, Middleton, and Giannis Antetokounmpo. Certainly, Mark Cuban will be desperate to reestablish Dallas as a prime destination for free agents, after swinging for the fences and missing badly on Dwight Howard, Marc Gasol, LaMarcus Aldridge, and, of course, DeAndre Jordan, in recent years. 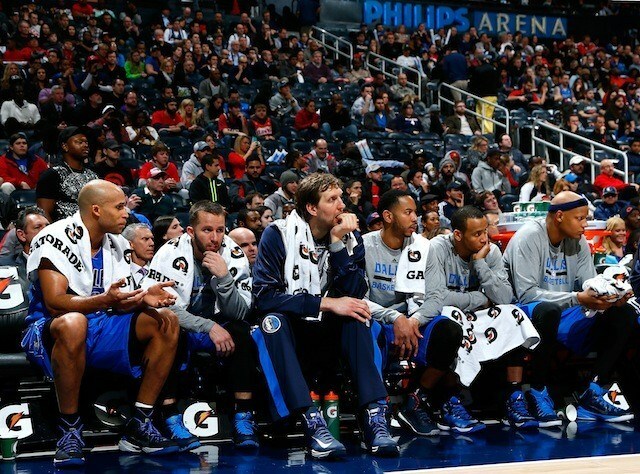 As consolation prizes, the Mavs settled for the likes of Monta Ellis, Rajon Rondo, Wesley Matthews, and Deron Williams — to flank an aging Dirk Nowitzki. Dirk, at 37 years old, still had enough left in the tank to lead the Mavs in scoring, with 18 points a game. Coach Rick Carlisle more than earned his keep as he motivated the likes of Deron Williams and Raymond Felton to get out and compete every night. For 2016, this team of former castoffs managed a 42-40 mark and playoff berth. For Dallas, any move for Conley would arrive as part of a package deal, with the team being blown up to the point where only Dirk is untouchable. Picture this: A lineup featuring Nowitzki, Conley, and Hassan Whiteside ready to make a run.